Mindfulness is everywhere right now. From Arianna Huffington praising it in her latest book Thrive to CEOs reportedly using it to enhance their management skills and overall performance, you can’t help but hear this latest buzzword. 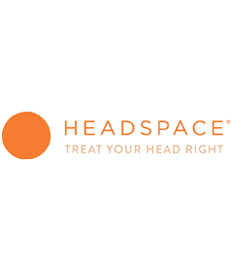 Headspace, however, has been ahead of the game for some time. Their mindfulness app ‘Headspace’, which can be downloaded free for a trial period, brings meditation right into the palm of your hand. Launched in 2010, the company encompasses events, books, online resources as well as the mobile app service. Their mission is “to get people everywhere to look after this precious resource by sitting to meditate for a few minutes a day, everyday.” Considering how difficult some of us find it to spend just ten minutes alone with our thoughts, it looks like this was a service badly needed. It’s extremely simple to use. Download via your relevant app store and simply listen to Andy (Headspace’s founder) explain the process very clearly. He will then talk you through a ten minute meditation in a soothing tone and afterwards you are certain to feel loose-limbed and clear-headed (WMB suggests doing it right before bed-time to really wind down). The trial lasts for ten days and then you have the option to subscribe to continue your meditation journey. It might feel like a luxury at first but studies have shown that just 15 minutes of daily reflection can improve your decision making abilities and help you to ‘work smarter’.